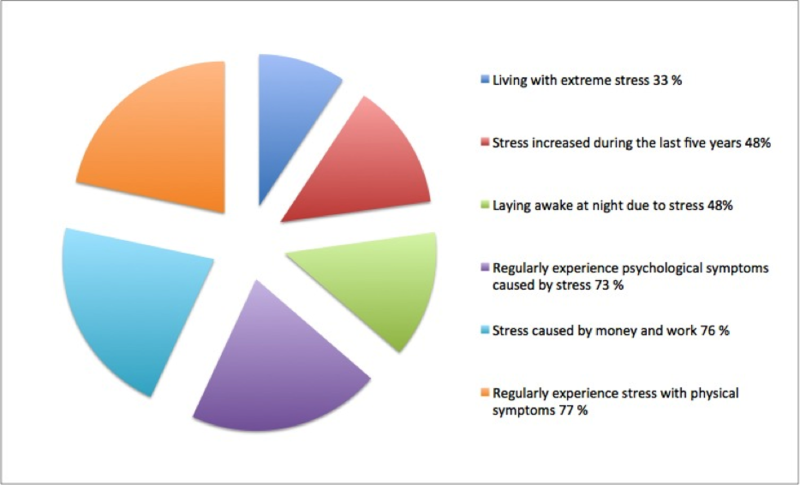 Note that a whopping 76 per cent of respondents said their stress was due to work and money. Additionally, 48 per cent say that their sleep is affected. All of the above elements represented in the chart could potentially have consequences in the workplace – physical symptoms, psychological symptoms, sleeplessness (this could have an impact on concentration, alertness, or performance, for example), and work/money issues. This is confirmed by the 48 per cent of respondents who said that stress has an impact on both their personal and professional lives. Bringing the topic to the UK, an article in the Metro this morning showed that workers spend around a year to a year-and-a half of their careers off sick. The main culprits? Stress and depression. And – the thing that made me gasp most – a third of full-time employees report that there is no sickness policy in place to protect them. This entry was posted in Stat of the day and tagged depression, mental health, stress in the workplace by disabilitysmart. Bookmark the permalink.